Friday evening in Baltimore, my 84 year old dad was honored at The African-American Fire Fighters Historical Society 3rd Annual Salute Dinner. The event observed the June, 1953 desegregation decision of the Baltimore City Board of Fire Commissioners. This year the society saluted the first African Americans promoted in the Baltimore City Fire Department. My dad, Dr. Rev. Lloyd E. Marcus was the first African-American Fire Fighter of the Year, first Paramedic and first Chaplin. Yes, that’s my dad! Among the honorees was Mr. Herman Williams, father of TV talk show host, Montel Williams. 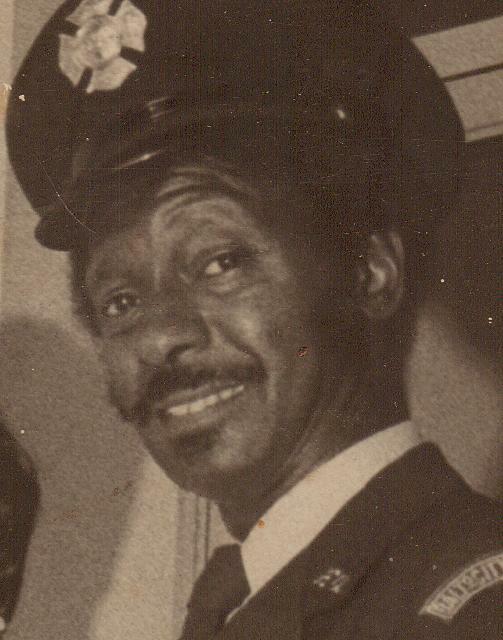 Mr. Williams was the first African American Chief of the Baltimore City Fire Department. Circumstances made it impossible for me to attend. My siblings and two of dad’s grandsons attended the dinner. My brother David said the event was a wonderful history lesson about what these pioneers went through. David said each honoree told their story. They told tales of overcoming and achieving despite having to endure horrific humiliating circumstances. David said what struck him most was their extraordinary lack of bitterness or hatred for whites. These pioneers were simply telling how it was without anger, bitterness or blame. How impressive. David said dad was proud as punch that his kids and grand-kids were in attendance. At the end of the evening’s festivities, dad whispered to his grandson, little David, “It’s tough being a pioneer.” Then, dad let out his infectious laugh. Now, if I can just get dad not to love Obama. Oh well, you can’t have everything. Dad, congratulations! You’re an amazing man – my hero. I love you. Happy Father’s Day.